Ireland are playing catch-up after losing their opening Six Nations match in Scotland but they have a good record of bouncing back and Italy could be their victims again. In the 2016 tournament Ireland were winless after three matches with only two tries to their name and under pressure to up their game. Italy were their round-four opponents and a pumped-up Ireland side put them to the sword, running in nine tries in a 58-15 romp. And the Irish are sure to be in a similar mood at Rome’s Olympic Stadium as however well Scotland performed in their 27-22 victory at Murrayfield, Ireland know they didn’t perform. Coach Joe Schmidt called his side “sluggish” as they shipped three tries in the first 30 minutes in which their line-out fell apart and they were guilty of frequent handling errors. The plus side for Ireland is that it is entirely in their compass to right those wrongs against opponents who will present nothing like the attacking threat that Scotland did. In their last two title-winning seasons under Schmidt Ireland showed they have the mindset to put setbacks behind them. In 2014 they lost narrowly to England in round three but hit straight back with a 46-7 hammering of Italy, scoring seven tries. And the following year they lost to Wales in round four but ran in four tries the following week at Murrayfield to seal the the championship with a 40-10 win. Italy tend to do their best work early in this tournament but it’s noticeable that they have never won in round two. They put so much into last week’s performance against Wales, as they often do when they kick off at home, that they may struggle to match their start in this encounter. The Azzurri held their own in the first half, finishing in front, and their biggest advantage was at the scrum. But that was the one department where Ireland were always on top against Scotland, right from the first two scrums that ended with penalties awarded to the men in green, and it’s hard to see them being dominated today. 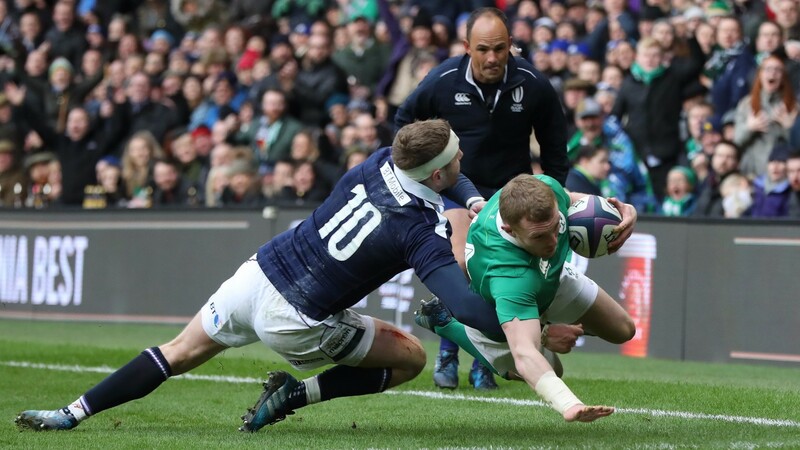 Fly-half Johnny Sexton is still out for and there was a marked lack of width and ambition to Ireland’s game with Paddy Jackson pulling the strings - their first two tries came when they took chances with the safety net of a penalty advantage. But they still forced an incredible 214 tackles out of Scotland and the Italian defence is unlikely to be as dogged and effective. Italy are given a start in the low 20s but the best handicap bet could be to back Ireland to win the second half by more than two converted tries after the Azzurri noticeably faded in the final quarter last week, while at a bigger price a wager on an Ireland win by 21 to 30 points also appeals.